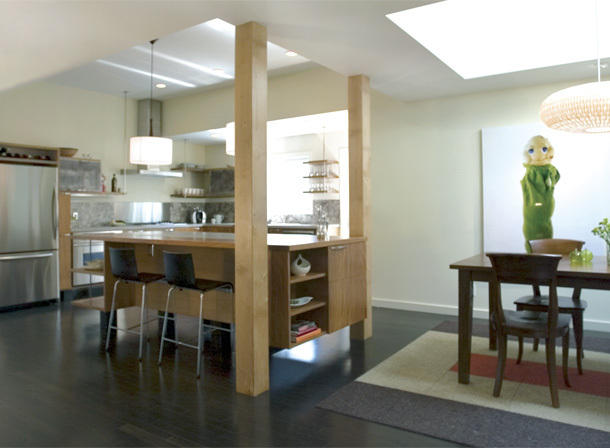 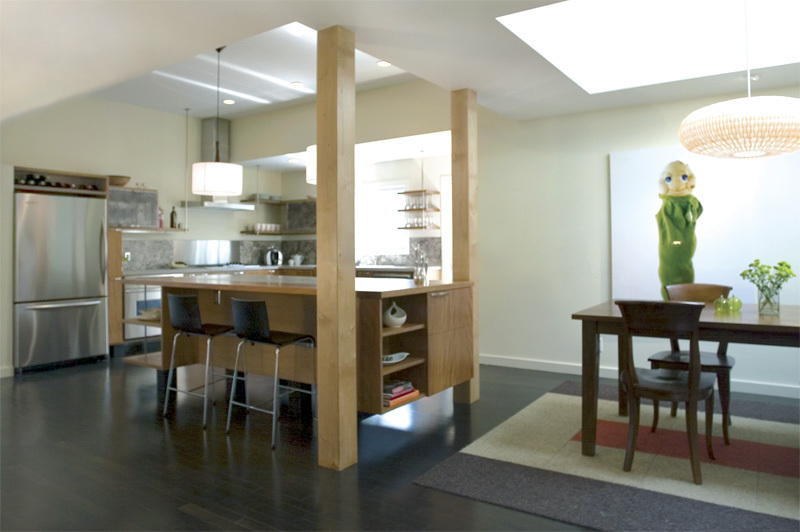 as a kitchen/dining design in the context of a complete home remodel, the objective was to create a central hub conducive to entertaining. 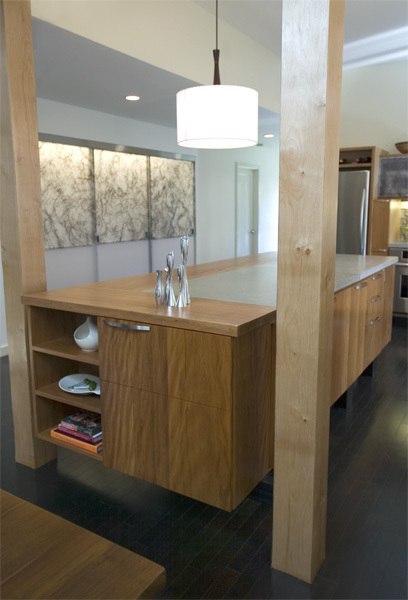 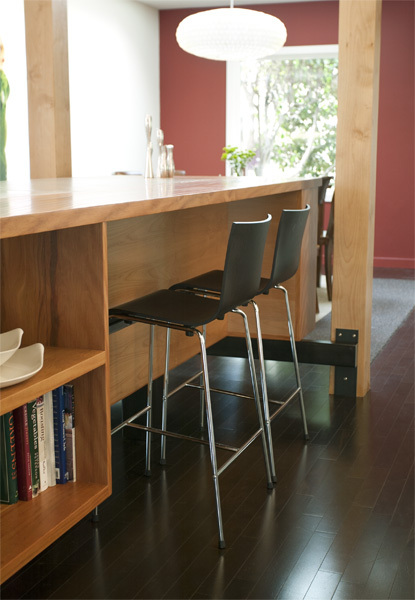 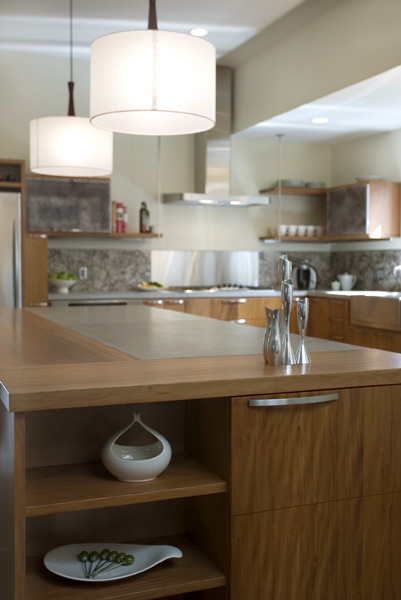 open kitchen elements allow ample room for more than one person to prep and cook, while inclusive to the environment of the space as a whole. 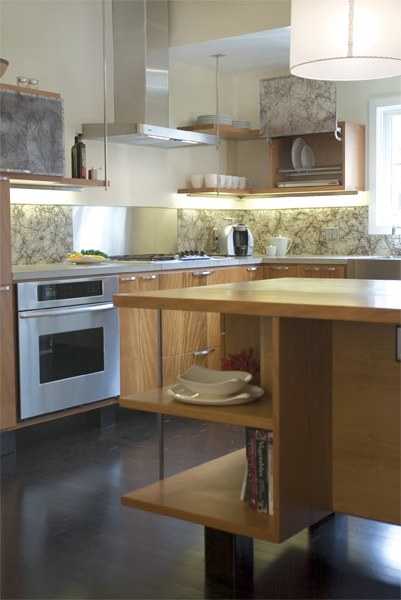 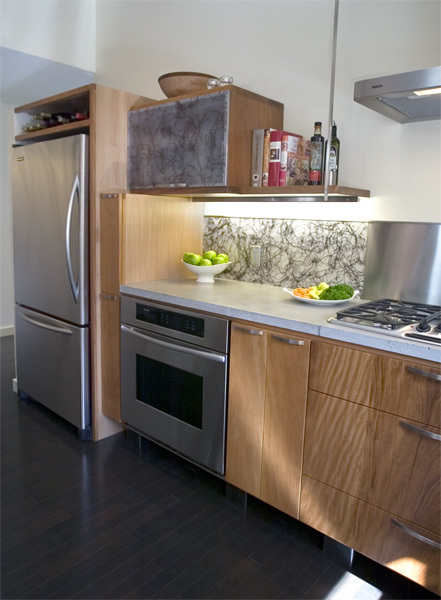 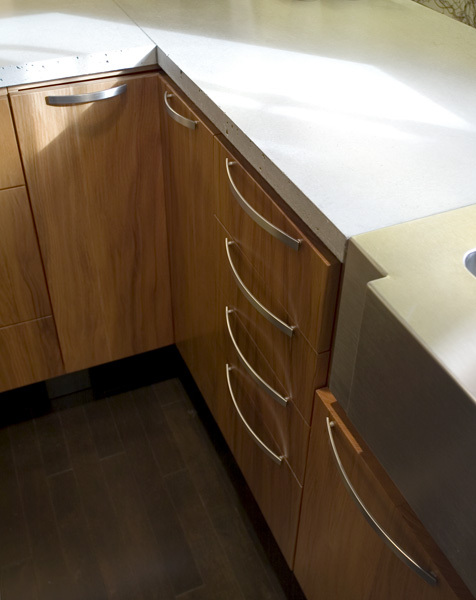 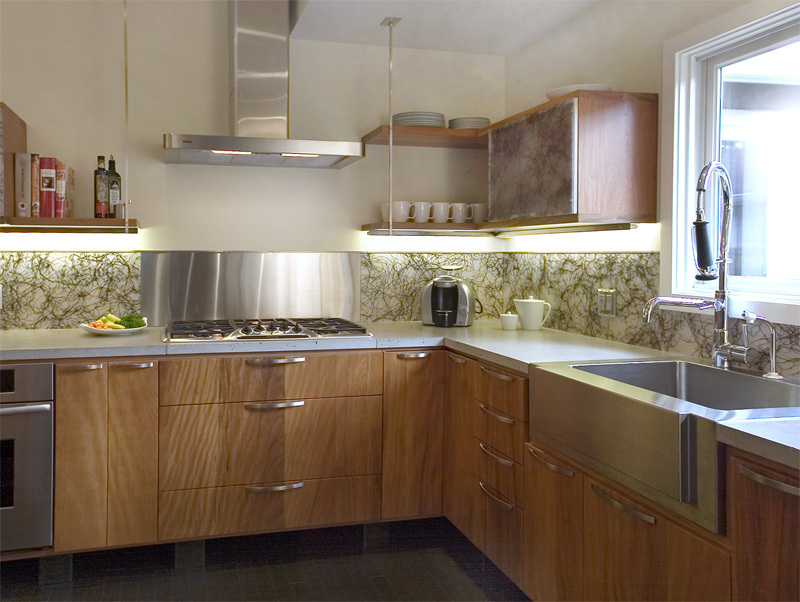 in house design/build and project management enabled a completely customized kitchen, including item specific storage areas, in-cabinet dish drainer and 37.5" high countertops to accommodate taller cooks. 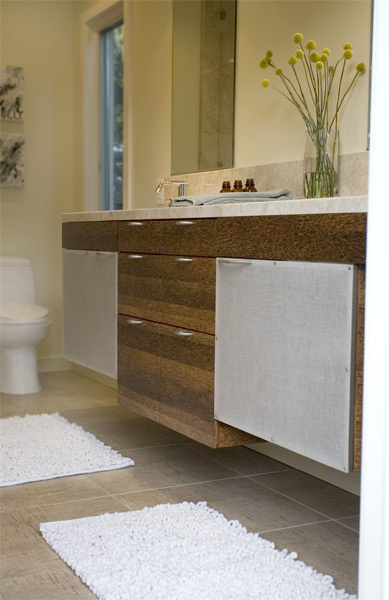 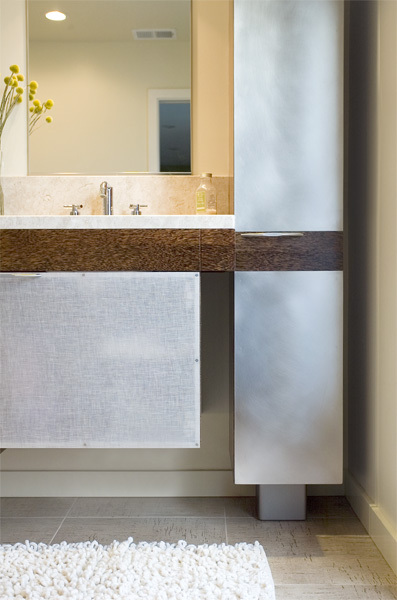 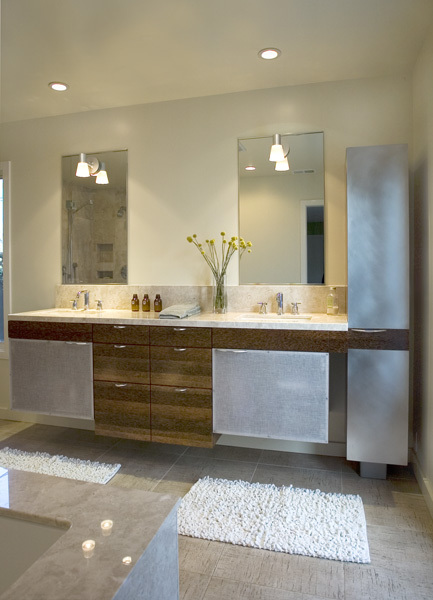 a master bath vanity was also designed and built as part of the project.